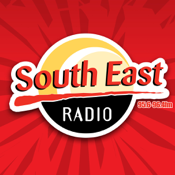 The South East Radio App gives you access to your favourite local radio station which broadcasts from County Wexford in the South East of Ireland. 62% of people tune in to listen to South East Radio’s award winning programming in County Wexford each week. South East Radio is County Wexford’s most listened to radio station. South East Radio broadcasts 24 hours a day from our state of the art digital studios at Custom House Quay in Wexford Town. Tune in for the very latest news and sport from County Wexford, as well as hearing the best music from the 80’s, 90’s and now! The app can be used on 3G or Wifi networks.